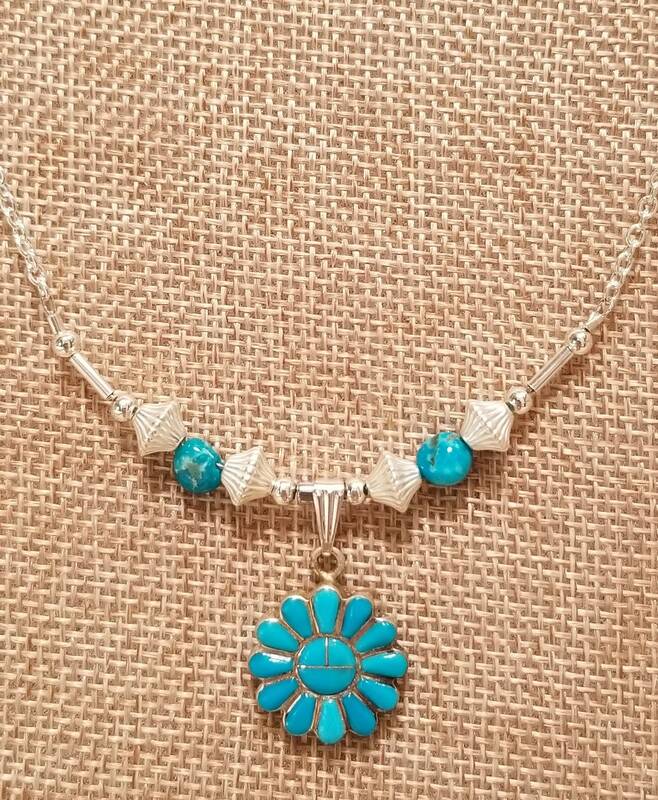 Zuni pendant on a delicate silver chain with Castle Dome mined turquoise to set it off. 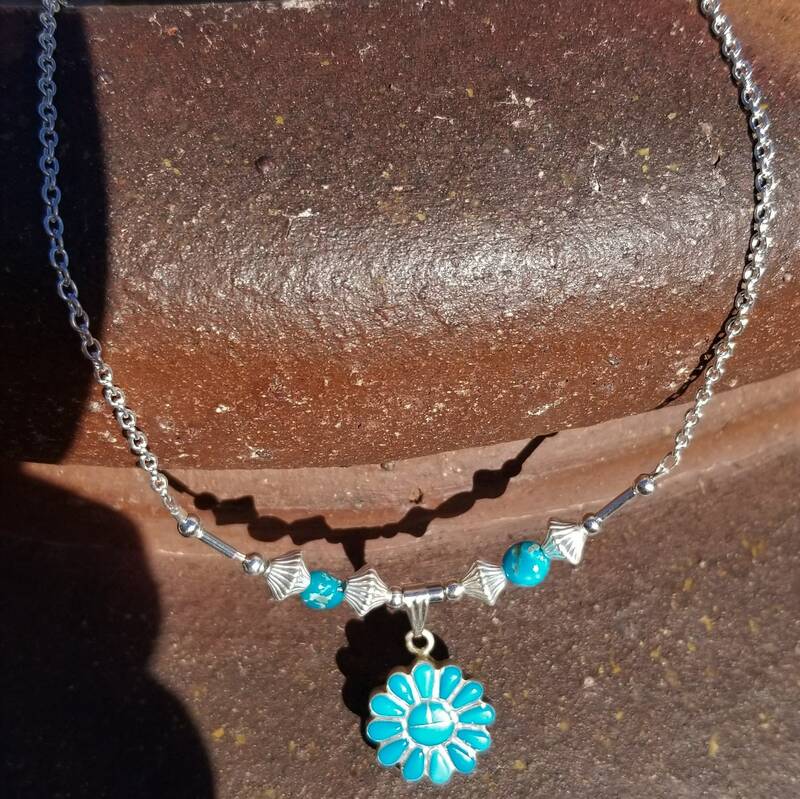 Simply adorable happy choker to wear. The turquoise is, of course, the rich blue color that comes from the Castle Dome mine in Yuma, AZ. Delicate, yet won't disappear around your neck. © 2019 Eye Candi Co.